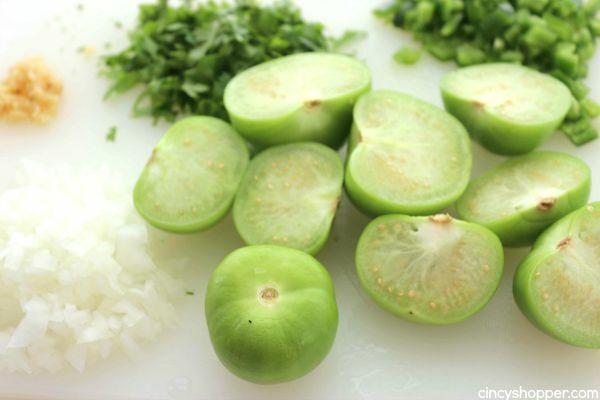 This quick and Easy Salsa Verde recipe is made with fresh tomatillos, jalapenos, cilantro, garlic, and onions. Since it is made in a blender or food processor, it will come together very quickly. You will find it pairs well with tacos, chips, or even with your meats in Mexican inspired meals. My family loves our Mexican flavored foods. Our favorite dinner meals happens to be our CopyCat Chipotle Carnitas or my favorite CopyCat Chipotle Barbacoa. I am anxious to make them more frequently come fall when I will have more time for cooking. We are having a few friends over this evening and I was looking to serve up some quick and easy appetizers. Normally I will whip up some CopyCat Chipotle Pico de Gallo to enjoy with a bag of tortilla chips just because the recipe is so quick. Fresh ingredient salsas in the summer are best. 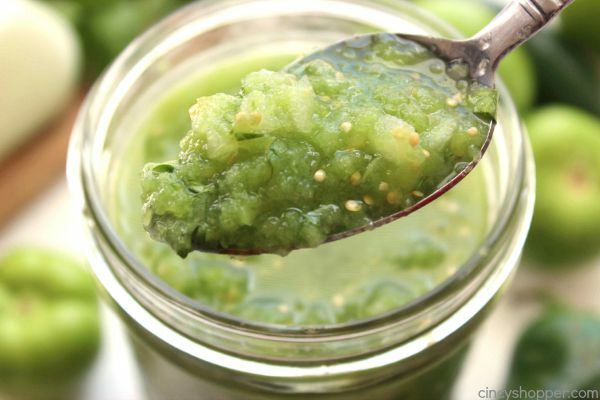 I picked up some fresh tomatillos to make this super Easy Salsa Verde. I was doing quite a few “finger dips” to test and could not control myself from dipping again and again, ha ha. 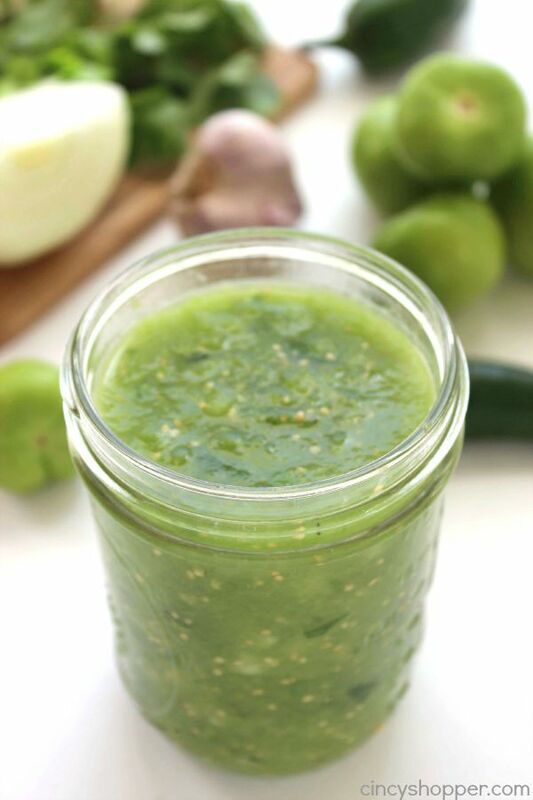 The flavors in this homemade salsa are out of this world amazing. I think I could eat it by the spoonful. I made two batches, one for our guests and one to place in the fridge to do some cooking with. I know it will be amazing with pork. This recipe is perfect for when you are short on time. Since this recipe for Salsa Verde requires no cooking and it is made in the food processor or blender, it comes together in a jiffy. Grab a bag of chips and you have a very quick appetizer or snack. 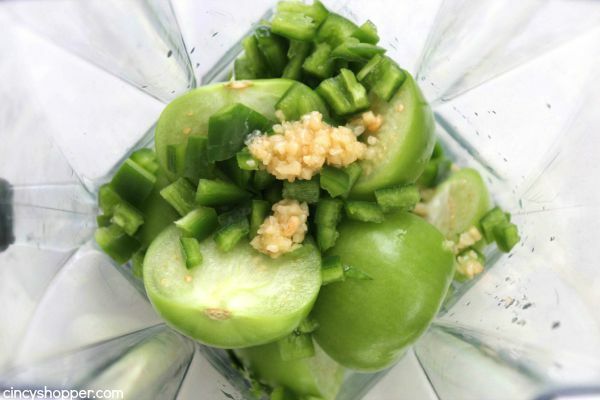 Remove stem and seeds from jalapeno. 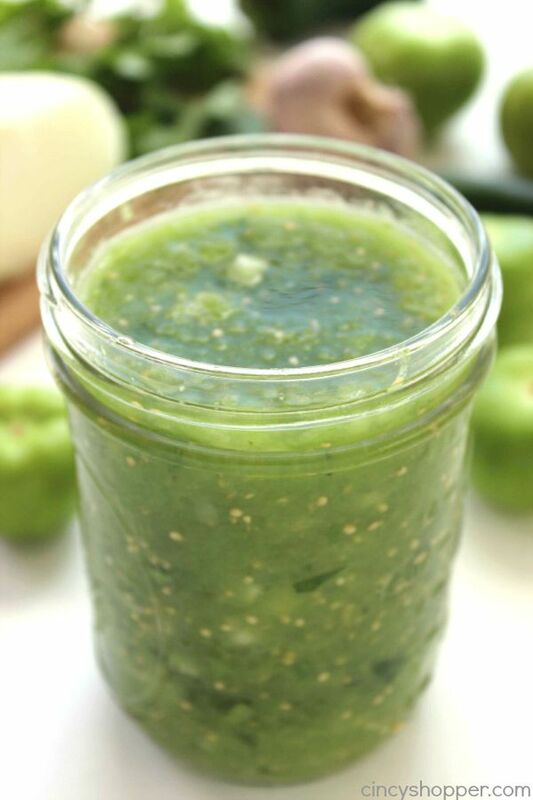 Place tomatillos, pepper and garlic in blender or food processor and process until pureed but still chunky. 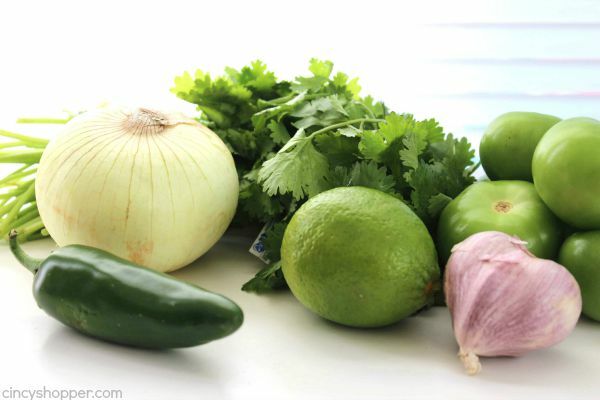 Add onions, cilantro, lime juice, and salt. 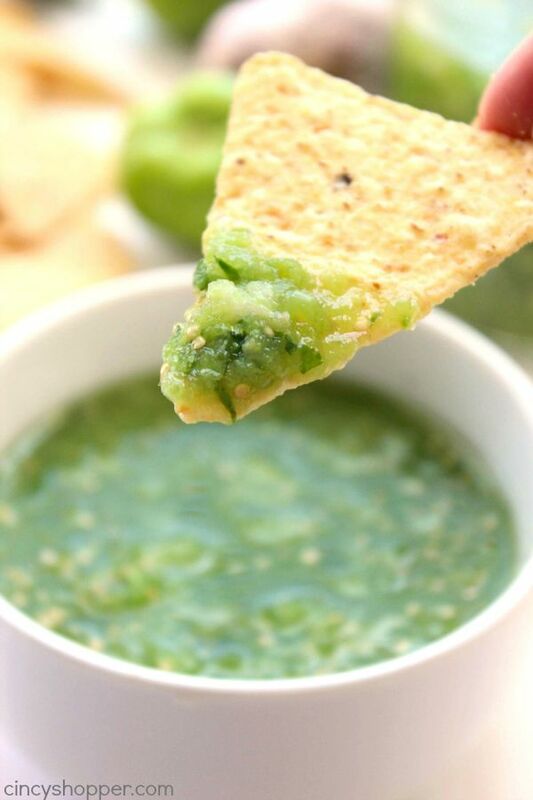 Do you have a favorite easy salsa recipe? 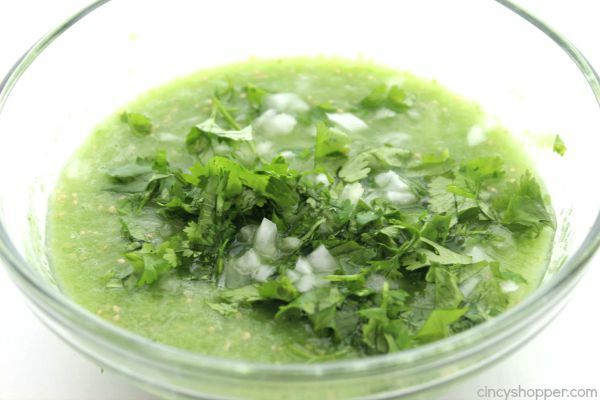 This blender salsa is definitely full of flavor and super simple. This looks amazing!!! Perfect Party Food. 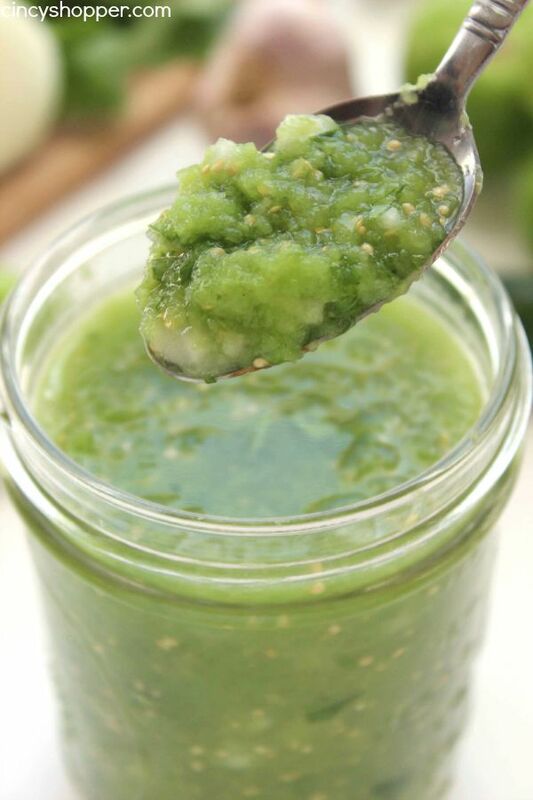 I do like some salsa verde and it’s great that you can whisk this up at a great speed. Forgot to prepare? 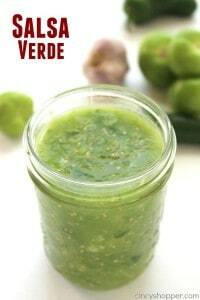 make a Salsa Verde. I just had to pin and tweet this because it looks so delicious! Thanks for sharing! Thank you for this recipe! My neighbour makes Salsa Verde and wouldn’t share the recipe. Now I have my own!